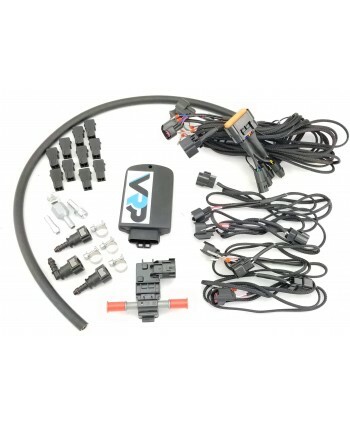 63 AMG and 500/55 NA:This kit is compatible with stock injectors and fuel pumps unless you have upgraded Headers or a Supercharger. 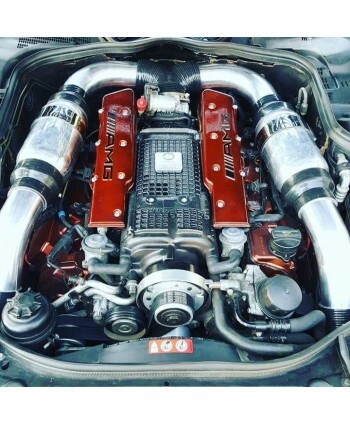 If your vehicle is equiped with headers we recommend 550cc Injectors.55k AMG:*This kit will require Larger injectors (750cc reccomended) and our AEM 320lph or Walbro 450lph E85 Compatible Fuel pumps 32k AMG:*This kit will require Larger injectors (630cc recc..
18HP 18TQBoost your horsepower and torque with a tune from Race IQ specifically set to your modificationsThis tune is for M113 vehicles 1997-2010 including all 500 and 430 models. 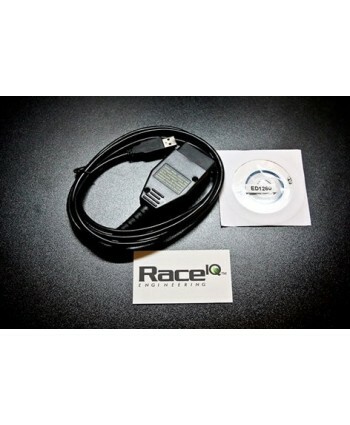 18HP 18TQBoost your horsepower and torque with a tune from Race IQ specifically set to your modificationsThis tune is for M113 vehicles 1997-2010 including all 500 and 430 models. 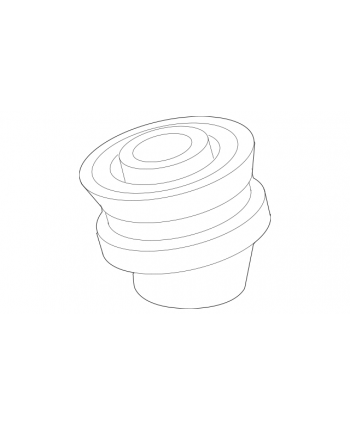 ..
**Photos depict 55K vehicle**Mandrel bent aluminum 3” pipesInline high flow FiltersCouplersClampsFits:2003-2006CLS55, E55, SL55, S55, CL55, CLK55, C55CL500, S500, SL500, CLS500, E500, CLK500Change out your restrictive stock air boxes for 3” piping all the way from ducts to throttle body.Comes in standard aluminum finishThis mod greatly increases supercharger whine on M113K cars.. 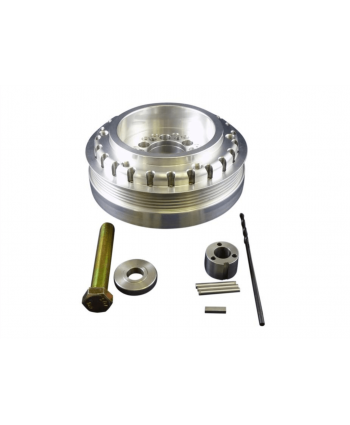 If you’re running a smaller supercharger pulley already it might be time to start considering upgrading your fuel delivery. These injectors flow approximately 30% more than stock. 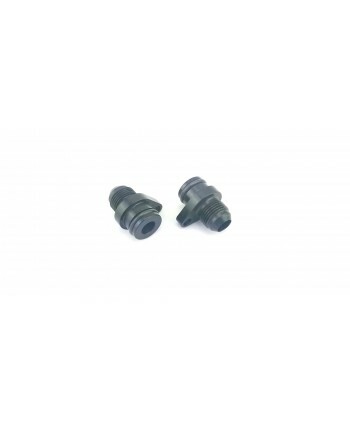 Includes Adapters Fits M113 and M113K Vehicles 2003-2011..
2003-2006 E55 AMG2007-2009 E63 AMG2006-2009 CLS5002006 CLS552007-2009 CLS63 AMG2003-2009 E320All W211 ALL W219Front Spring:	16kgRear Spring:	15kg*Vehicle Modification Required:	Convert rear lower control arm to W211 chassisEqually at home on street and track the BR Series offers the best of both worlds with ride height and damping adjustability. 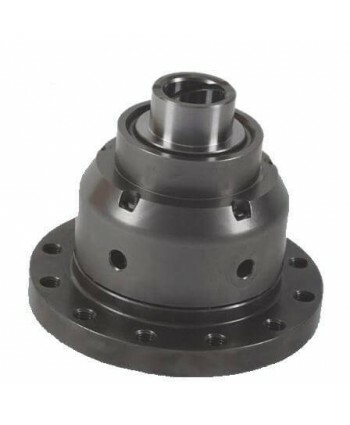 Damping is adjusted simultaneously and height is adj..
We offer Crank pulley kits to complete your Pulley setupFits all M113 NA430, 43, 500, 55Comes standard with a pinning kit that is very easy and straight forward for any shop or person to install. 3 pins lock into the front of the crank to ensure that the balancer will never twist the subpar factory key way off. Comes with 10.9 hardness crank bolt and washer. Still maintains its harmonic duties. Is..
Black Series mounts for Rear wheel drive 722.6 transmission equipped cars. 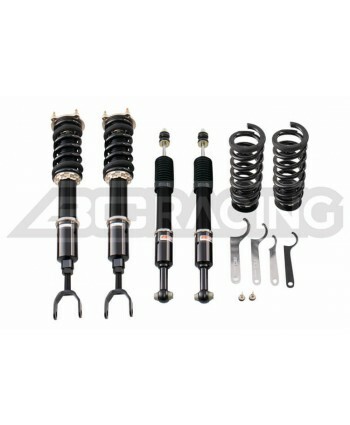 Black Series mounts provide better transmission stability than stock mountsComes as 1 mount. 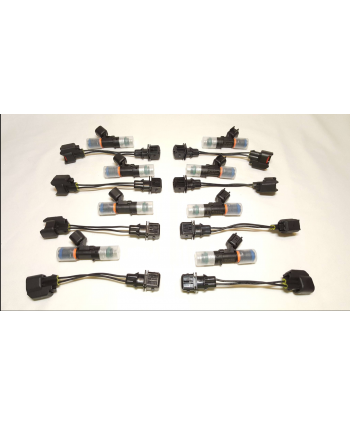 (1 required per vehicle)2001-2006 CL552003-2006 E552003-2009 SL552003-2006 CLS552001-2006 S552000-2006 CL5002000-2006 S5002003-2006 CLK5002000-2006 S4302006 CLS500, CLS5502003-2006 E5002007-2009 E5502005-2010 SLK5002007-2011 CLS6320..
Set of (16)Fits all M113 NA500, 430, 43, and 55 ..
***These Longtube headers are Manufactured for AMG vehicles, if you have Non-AMG Catback system you will have to weld the midpipes of this system into the stock catback. 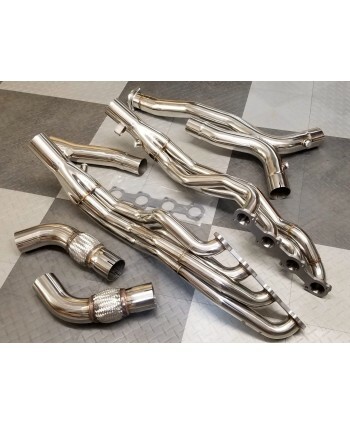 These Longtube Headers Increase Exhaust Flow At Higher RPM To Generate More Power And Maximum Performance. 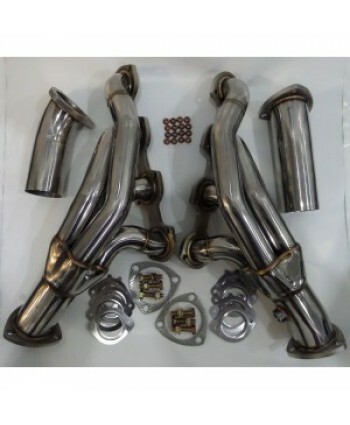 Get Up To 35% Better Exhaust Gas Flow By Replacing The Restrictive And Inefficient Factory Cast Log Manifolds With The.. 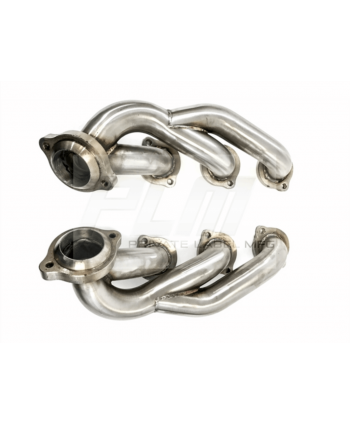 Perfect for customers who need to save their factory Catalytic converters!Power Driven Mercedes 5.5L AMG Header features true 304 grade hand TIG welded stainless steel flanges and piping. Utilizing one-piece "shorty" style design to maximize engine compartment space for maximum performance. 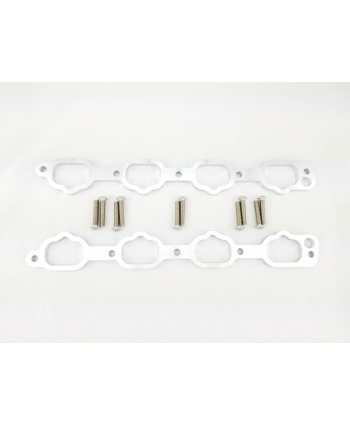 With no cutting & no welding required, this set of headers is100% bolt-on and retain stock cat..
10mm Aluminum Intake Manifold Spacers1 pair of 2 SpacersAvailable Ceramic Coated or Raw AluminumWith Ceramic Spacers customers have seen up to 12* drops in intake temps..
Thermalnator is a unique high temperature shielding gasket which replaces the stock intake manifold gasket. 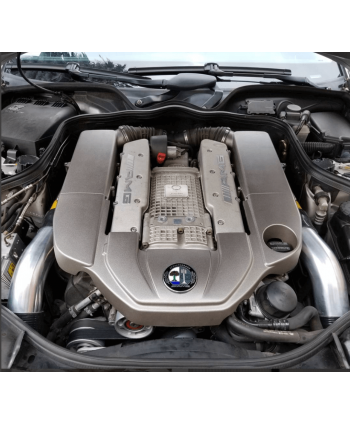 Thermalnator’s cooling properties reduce heat by stopping metal to metal contact between the intake manifold and the engine block. 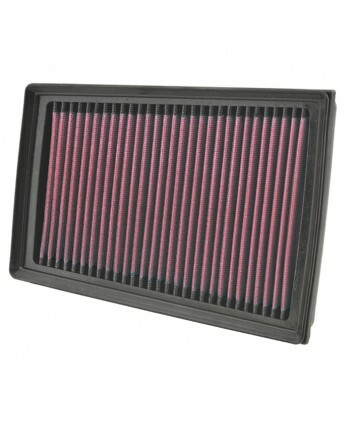 By using a Thermalnator gasket, you will reduce the heat of the air entering your engine, making up to 5% more power. Thermalnator gaskets allow the intake manif..
Dyno Proven 10WHP!This is a Great first mod with our Intake Spacers!FeaturesFor enhanced performance and easy maintenance, upgrade to an AEM DryFlow Air FilterCustom sized for a direct fit on your year, make and modelDesigned in collaboration with K&N, drawing on their expertise to create a cutting-edge oil-free filterLow airflow restriction plus a high filtration factor equals a big boo..
•	Designed to boost horsepower and rate of acceleration•	Can be cleaned and used again•	High air flow with exceptional filtration•	Lasts up to 50,000 miles before cleaning is required depending on driving conditions•	Works with original equipment manufacturer vehicle electronics•	Emissions legal in all 50 US states•	Will NOT void vehicle warranty•	Million Mile Limited Warranty®K&N's replacemen..
Magnecor's KV85 Competition (8.5mm) Ignition Cables feature Magnecor's exclusive 2.5mm high capacity Metallic Inductance EMI Suppressed conductor consisting of stainless steel wire precisely wound at 200 turns per inch over a ferromagnetic core. 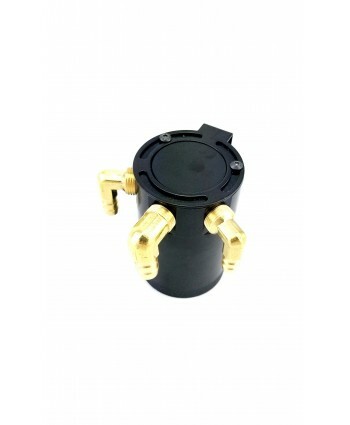 The insulating jacket is made entirely of Magnecor's exclusive TC-1500-HS high strength aerospace grade silicone rubber, and its single layer construction..
Midlength high flow exhaust headers greatly reduce exhaust gas back pressure allowing the engine to breathe freely and produce more power, and supercharged as well as normally aspirated engines will benefit from the use of these headers.A normally aspirated V8 will typically gain 7 to 10 percent in horsepower and torque, while a supercharged engine will gain as much as 15 percent in horsepower and..
$14952001-2006 E55 2005-2010 SL55 2008-2012 C63 2007-2010 CLS63 2006 CLS552007-2010 E63 2005-2010 SLK55The Quaife Differential powers both drive wheels under nearly all conditions, instead of just one. With an ordinary open differential, standard on most cars, a lot of precious power is wasted during wheelspin under acceleration. This happens because th..
SmartKey StarterREMOTE START SYSTEM FOR MERCEDES BENZPlug-and-play remote start system for Mercedes-BenzWorks with factory key fob out of the box (‘Panic’ button or ‘lock-unlock-lock’)Interfaces with Compustar Drone smart phone control interfaces and RF remotes (for extended range)Seamless solution that does not disrupt integrity of the vehicle, keeping all warranties intactSmart Phone C.. Precision regrind camshaftsIncreased lift and duration from stock camshaftsIncreased power from 2500+ RPMover 20whp to the wheelsIncludes:CamshaftsAssembly LubeOne week build time. ***CORES REQUIRED..
Front and Back Printed w211 E55 shirt.. 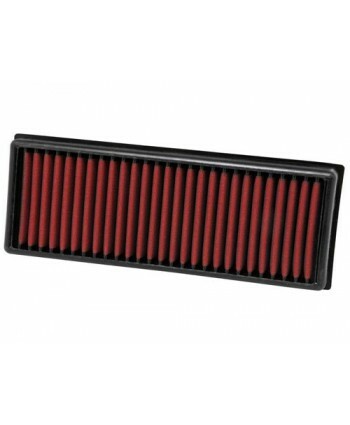 These intake pipes are much less restrictive than the stock system. 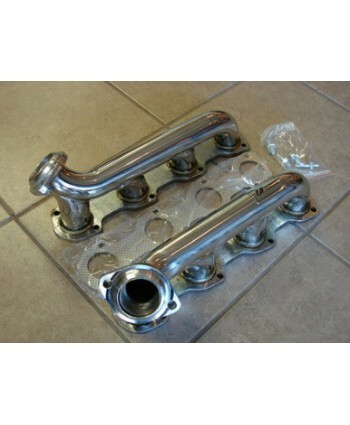 These pipes make an even bigger difference when paired with the Intake Filter Spacers and K&N filters.